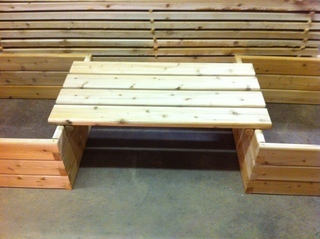 Handcrafted window boxes and Cedar raised garden bed kits. 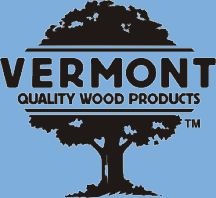 Specializing in window boxes and raised garden bed kits of the finest quality available handmade from Vermont White Cedar. 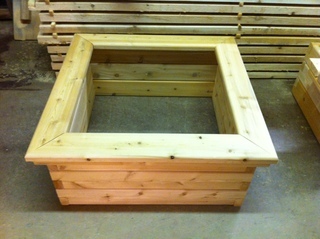 I offer every standard size window box in five styles and can be made in custom sizes to suit your window box needs. Make gardening easy in any space available. 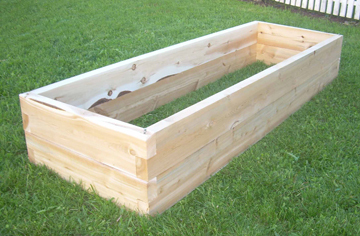 Raised garden beds can be assembled easily to the height you need. No more bending to maintain your garden. 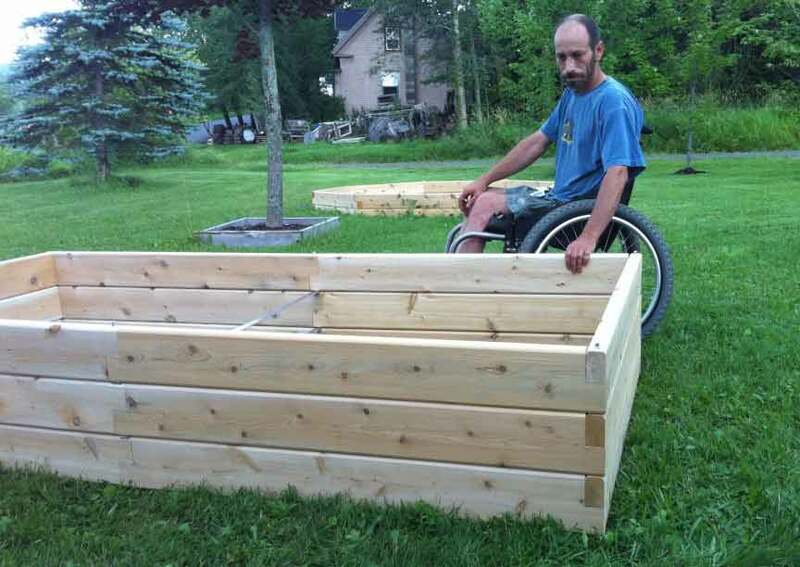 Raised garden beds are great for veggies and flowers. 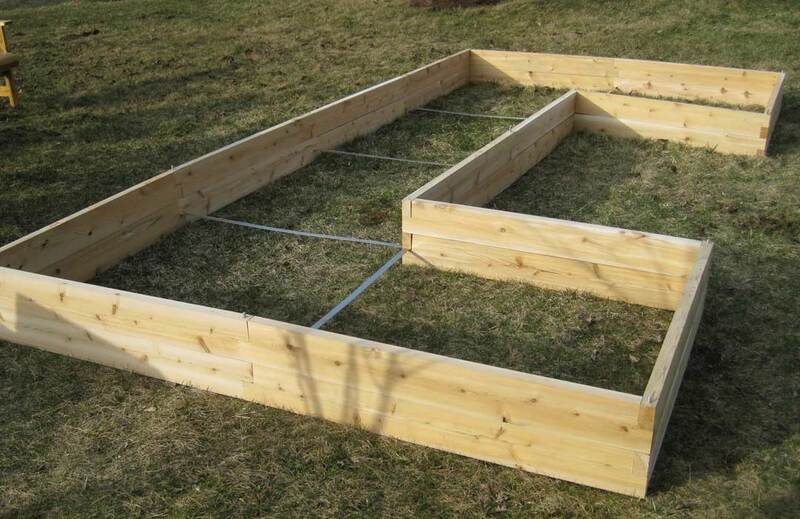 A raised garden bed will keep weeds from your garden soil, prevent soil compaction, provide good drainage and serve as a barrier to pests such as slugs and snails. 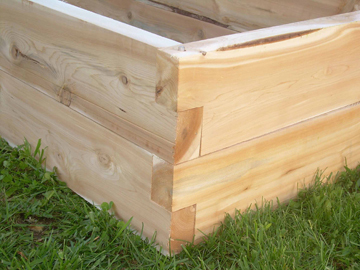 Northern White Cedar is naturally insect and rot resistant and is not prone to splintering, This makes cedar a perfect choice for window boxes and raised garden beds. If cedar is left unfinished, it ages to a silvery gray, silky surface. This species is excellent for indoor, outdoor, and ground contact applications. White cedar is nontoxic, safe to handle, and there are no chemicals added, so none can leach out. 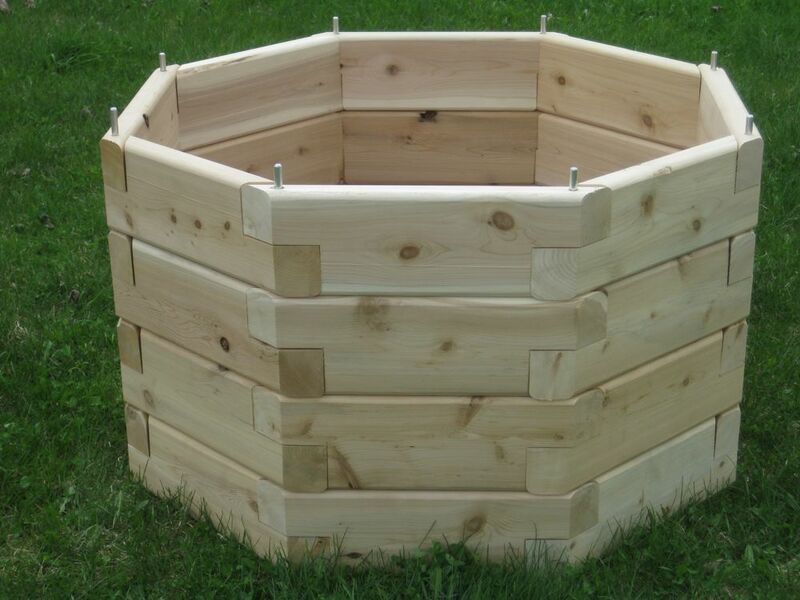 These cedar window boxes and raised garden beds will beautify your home for years to come. My name is David Ciliberto and I own Ciliberto's Woodworking. In 1993, I found out that I had AVM on my spinal cord and came to the decision to have it removed. After the operation, I developed a blood clot that crushed the nerves in my spinal cord. I have not had the use of my legs since. Prior to the operation I was a carpenter, so I started making cedar window boxes, cedar rail boxes, and cedar raised garden beds. People in my area really liked the quality of my products. This inspired me to create a website for people all over the country to have a way to purchase my products.